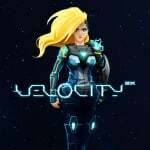 Side-scrolling shooter hybrid Velocity 2X comes to the Nintendo Switch this week, after receiving critical acclaim when it was initially released back in 2014. Things took an interesting turn last month, however, as developer FuturLab suddenly became very vocal and honest about their publishing struggles in a series of posts on social media. 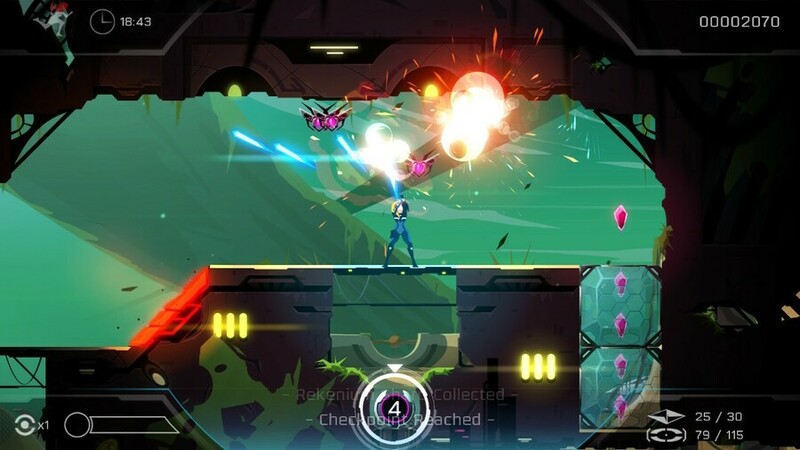 Keen to know more not only about the game but of the hardship the company had endured, we jumped at the chance to talk to James Marsden, Game Director of the Velocity series and FuturLab's managing director. Nintendo Life: How has the progression been from developing Velocity Ultra to 2X? James Marsden: With Velocity 2X, we were able to start again from scratch knowing that the foundations of the gameplay were superb. We improved everything about the experience and added the platforming sections that were always part of the original vision. Personally speaking, it was also an absolute joy to work on the music with composer Joris de Man. When was the decision made to bring Velocity 2X to Switch? We made the decision soon after Switch was released, but we couldn't jump onto development straight away for various reasons. Is there excitement within the team regarding the launch on a Nintendo console? Absolutely. Most connoisseurs of games are also lovers of Nintendo - we're no different! I think in particular the hardware design of Switch is just so gorgeous and elegant, and a perfect fit for Velocity 2X. We would have brought Velocity 2X to 3DS, but that console didn't quite have the power needed for all the visual effects at a buttery-smooth 60fps. Were you Nintendo kids growing up? If by Nintendo kids you mean spending every waking hour playing Street Fighter II Turbo - yes. Obviously Mario Kart between fights. Actually, I think Ocarina of Time was when I first realised that games were art. Do you have expectations regarding the balance of new players and older fans who will pick the game up on the system? That's a good question. I would imagine that people who loved the PS Vita will also love the Switch, so I expect there to be lots of existing fans who will be interested in playing Velocity 2X again on Switch. However from what I can tell, there are a lot more people with a Switch than a PS Vita, so who knows! 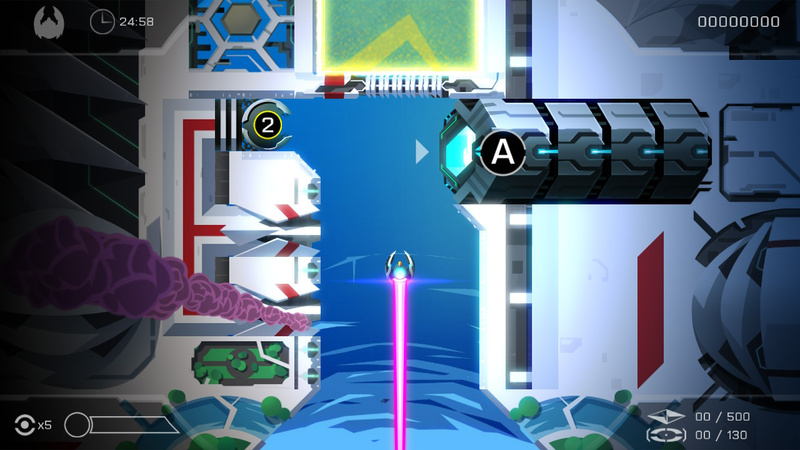 What can new players look forward to in Velocity 2X? In terms of being suited to a handheld platform, it's arguably one of the best examples of a 2D arcade game. There's just so much to it, and it all works together elegantly - action, puzzles, style, humour, visual spectacle and artistry, EXPLOSIONS, amazing music - and most of all it's a really good challenge for those who want it, whilst also being easy to pick up and have casual fun for five minutes at a time. What is the balance between shooting and side-scrolling action? It's 50/50. After the introductory stages, every level begins in the ship, with multiple platforming sections to navigate throughout. So you'll start off by nipping about in your speedy ship, and then dock, jump out and run about on foot, before jumping back into the ship to continue. It's a completely seamless transition. How do the different gameplay elements come together to make a cohesive package? 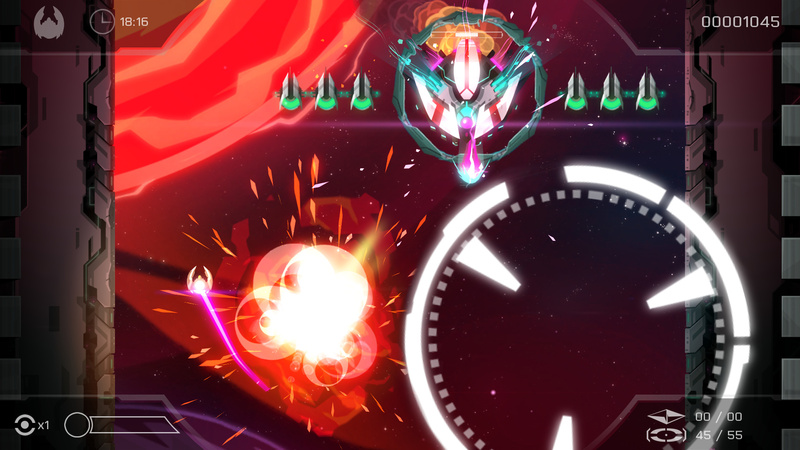 It's exactly that cohesion that makes Velocity 2X so special. To summarise, there are so many mechanics that interweave and build on top of each other - we introduce a new idea pretty much on every level, and one of the coolest ideas in the game doesn't appear until the last three levels. We borrowed this approach from Portal, my all time favourite game. In fact, Velocity 2X is one giant tutorial that teaches you how to dance like a wizard using the mechanics. When you go back and play the earlier levels, you suddenly realise that all the levels are designed to choreograph a highly skilled player into performing an elegant dance that just feels amazing to play. As you can probably tell we're exceedingly proud of the game. Did you add any extra features to utilize the Switch hardware? We supported HD rumble and the touchscreen, which wasn't a big deal, but the coolest addition comes from the Switch hardware itself - simply being able to detach the Joy-Con controllers means that the high input-intensity experience of nimble fingers working with muscle-memory becomes very comfortable indeed. There's no 'claw-hand' cramp when you can rest your elbows anywhere with wrists relaxed at any angle. The hardware itself disappears, and since Velocity 2X is all about achieving a very high level of flow, the detachable controllers elevate the experience of flow to a zen-like state. So, what caused the Twitter post to appear now? We've tried for four years to get a very worthy sequel signed. Everyone that sees it loves it, but so far we've been unsuccessful, and I thought we should come clean to our fans about why there hasn't been another Velocity game yet. Because we get asked a lot. In your Twitter post, you talked about the fan reception of the game but also the difficulty in looking for a publisher. Yes, since the game was free for an entire month at the initial release, most people who wanted to play it got the game for free. That means that actual sales of the game cannot be judged fairly, which scares off a lot of publishers. Especially since the sequel we want to make is a lot more ambitious. We've proven the mechanics and our approach to level design, so now we're ready to scale it up and do something genuinely stunning. That frankly requires a publisher to take a large amount of risk. What was the turning point where you felt it was important to be that honest and open about your situation? It's been an incredibly busy year - we have several projects underway, and several lined up. I arrived at the airport waiting for my new pals at Curve to meet me, and I had to do a mental recalibration. I had to forget everything I'd been so busy with for the whole year and put myself back in the mindset of Velocity 2X. My first thought was "Wow, this game is four years old now, why the hell haven't we followed it up with a sequel yet? There's a very good reason why, and our fans need to know." I then proceeded to "Truth Bomb". How has the support been from fans, and what do you make of the reaction of media outlets to the tweet? There have been a few derogatory comments on forums, which is to be expected. You can't please everyone all the time, but the response from our fans has been wholly positive. I think our fans appreciate the honesty. Our peers also appreciate it. We're not the only studio in this situation, but it takes a great deal of confidence to talk publicly like I did. That's the thing though; I do have a lot of confidence in Velocity - it's amazing - we need to make it happen. Looking at the history of the game, how much pressure was there to release it again? It wasn't so much pressure as a desire to see it enjoyed on Switch. It really is the perfect portable platform around. How has the relationship been between you and publishers for the Switch version? A total breeze. I spent a week with Curve at Gamescom and had just the best time. They're such a lovely bunch - and extremely well organised. Has the indie game and publishing landscape changed in the short time since Velocity 2X’s initial release? Honestly, I'm not sure I can give you a meaningful answer to that. We're so busy making games that we rarely watch what other people are doing. It seems that cool indie games are being made, which is about the same as in 2014. How much exposure have you had regarding various companies publishing physical versions of indie games on Switch? We've not spoken to anyone that specialises in that at present. There haven't been any conversations with anyone, but of course, we are open to the idea. The eShop is packed with games right now. How do you decide when to release something to ensure maximum exposure? This is where partnering with a publisher is essential. It's a full-time job for a team of people to make a game, and it's an equally demanding full-time job for a team of people on the publishing side. We've self-published our games ten times, and it doesn't really get any easier - it's always a challenge. In retrospect, what is your opinion about the infrastructure of a service like PS Plus, and should Nintendo’s paid online service borrow any elements? I think it's great if the revenue from subscriptions goes into the development of new experiences that continue to serve niche audiences. I think anyone working in TV with Netflix right now is having a blissful experience as they essentially have the freedom to serve their niche audience. That's what we would absolutely love to do. Obviously, it's a walled garden, rosy on the inside and somewhat barren on the outside. You mentioned a sequel. How far along is it? Far enough along to impress friends and peers, but not far along enough to show the public. 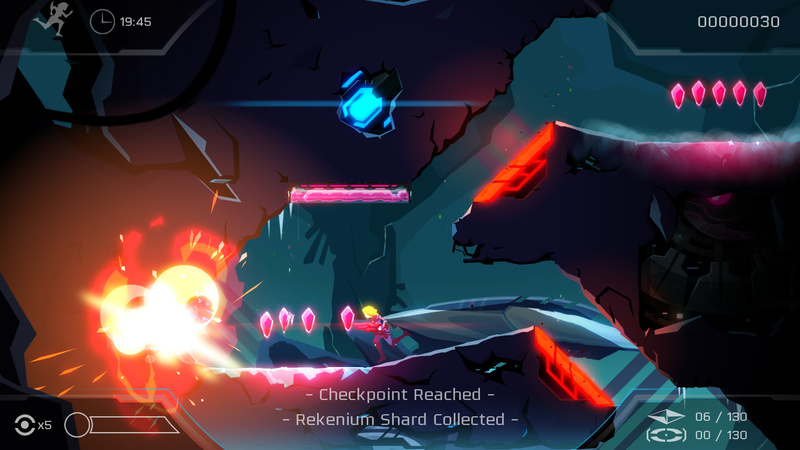 Once you've played Velocity 2X, you'll know that we really enjoy layering mechanics and surprising the player. We'll continue to do that. We aren't ready to consider taking it ’on the road’ as yet. Do you have a sales figure in mind in order to make the sequel a reality? I do, but you understand I'm not at liberty to say. We would like to thank James for his time. Velocity 2X launches today. I never grabbed it on PS4 or Vita so I'll be picking this up. I enjoyed the first game enough. Hopefully enough sales will be generated. I appreciate his honesty. I don't care if he is begging me to buy it, it seems like a good game. I'll give it a shot, probably not during launch week, but I'll buy it then in hopes it helps them get the next game on the road. Being a game dev is tough, and while people think of him saying "last chance if you want this franchise to continue" as begging, I say it is fair game. I know many franchises where nobody told me anything about it potentially being the final game. One game I knew everything was riding on, was Fire Emblem Awakening though. The franchise had not been very popular for many years, so when it came out I bought 20 copies. Wasn't much in the grand scheme, but I wanted Fire Emblem to continue as a franchise. I've since sold 19 of those 20 copies since it was a grand success, and while I'm not about to do the same for a franchise I know next to nothing about, I'll humor the devs of Velocity 2X by buying and trying it. Again, it looks like a genuinely good game. I'm fond of the game and you can read the passion for the work from the dev. I think it's worthy of support. The Velocity games are amazing, and their mix of puzzle-solving, story-heavy narratives (for the genre, anyway), and razor sharp gameplay has made them my all-time favorite shmups. Definitely don't sleep on this if you even have a passing interest in the genre. I paid the full price for this on Vita, and enjoyed every minute of it. Plan to do the same on Switch. Great game, and worth it if it means it helps get a sequel made. You guys have convinced me to get the first game on Switch. Currently downloading. I didn't realize there was a week one 20% discount. That's a pleasant surprise. I had zero interest in this game but now I'll have to check it out. Good interview. It’s fair in the fans’ mind to keep asking for sequels to things, yet it isn’t fair in those same fans’ mind for a dev to say “buy this or you definitely won’t get a sequel anytime soon”. Reminds me of Bruce Campbell saying fans need to watch the third season of the Evil Dead show live as they air for good ratings or STARZ wouldn’t renew it. And they didn’t... so the show got canceled. So don’t go to a convention asking Bruce to play Ash again. It's a decent game, but the fact that (as the dev says) the game is basically one long tutorial gets annoying. Show me the mechanics and let me play. The Velocity games are too much patting your head and rubbing your belly simultaneously for my tastes. Nothing beats RIVE on Switch when it comes to this genre. Seems like another win for Switch! @zombies They are all 'Shoot-them-up'. So twin stick shooters are the same genre as vertical shmups, even though they're completely different?